Since the first edition of this book was published in 2004, there have been many changes in the way we live, work, and communicate. One of the most signifi cant changes is that project management is no longer considered to be just a job; it is now recognized as a legitimate profession. Formal project management training and certification are now required by many employers when hiring project managers. Many universities offer bachelor’s degrees and MBAs in project management and technical project management. The introduction of new technologies has made it more practical, efficient, and cost-effective to create virtual workplaces and teams. Most organizations have some kind of work-from-home program that allows employees to work from home some, or all, of the time. Many households these days have a “home office” for exactly that purpose. Employees consider it a perk to be able to work from home on a regular basis. These technology advancements have also changed how we think about project teams. A few years ago we assumed that project teams were primarily in the same geographical location. Meetings were conducted in-person with all, or most, of the project team present in the same room. These days, in most organizations, it is common to have one or more team members working and communicating virtually. It is no longer considered necessary to bring the entire team together in the same room for a project meeting. Teams are national and multinational. This is taking today’s project managers to an entirely new level. Not only do you need to be skilled in the art of project management; you also need to be a competent virtual manager. It is exciting to see the project management profession growing and maturing at such a rapid pace. 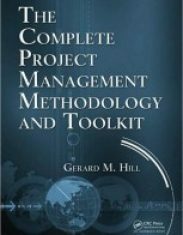 Certifications in project management enable project managers to manage projects using standard processes and terminology. 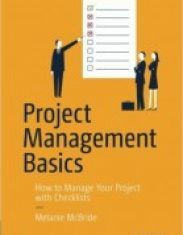 Before process frameworks such as PMBOK® Guide and PRINCE2®, project management terminology differed greatly from organization to organization and project manager to project manager. There are still terminology differences between the various project management and quality management standards, and it is unlikely they will ever be exactly the same. However, there are now a lot of similarities, and understanding the framework and processes from one standard will make it easier to understand those from another. As more and more project managers become profi cient in these standards, we will continue to move closer to a global project management terminology. The profession has come a long way in the past few years, and it is destined to go a lot further in the next few. 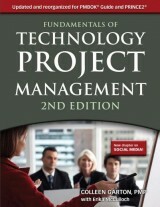 The second edition of Fundamentals of Technology Project Management includes some exciting additions and updates. 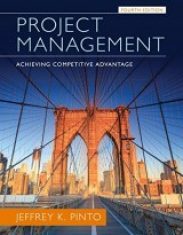 The two most widely recognized standards in project management today are the Project Management Institute’s Project Management Body Of Knowledge (PMBOK® Guide) and the Offi ce of Government Commerce’s PRojects IN Controlled Environments (PRINCE2). These standards are both designed to be used in conjunction with, not in place of, an industry-specifi c methodology and project management skills. This book provides both. To make it easier to apply PMBOK® Guide or PRINCE2 standards to your projects, the content in this edition has been updated and reorganized to align the methodology and terminology more closely with these standards. Each standard has a dedicated chapter. Additionally, information is included throughout the book that maps the content directly to both the PMBOK® Guide (v4) and PRINCE2 (2009) processes, knowledge areas, and themes. The content throughout the book has been updated to include information on managing remote project team members. This includes removing assumptions that project team members will be present in the same room for team meetings, kickoff meetings, brainstorming, and lessons learned. The book has been revised to include information about virtual communication, virtual presentations, and virtual leadership. The second edition also includes a brand-new chapter on social media. This chapter explains social media in detail, from social and business networking to Wikis and online videos. It includes lots of practical advice on how to use social media responsibly, how to create project team rules and guidelines for social media use, and how social media can be used in the workplace to enhance and improve communication. The project scheduling chapter has been completely rewritten to include a generic guide to creating a project schedule using any scheduling software, in addition to step-by-step instructions on how to develop a project schedule using Microsoft® Project® 2010. Appendix C has been rewritten to include new tools and technologies and an updated recommended-reading list. The document templates have been updated with a new look and layout to make them easier to use. Many of the templates have been updated to include additional information. There are new documents and renamed documents. These changes are to bring the documents up-to-date and to ensure that they are in alignment with PMBOK® Guide and PRINCE2 standards.